Saint Gnanasambandar has sung a thevaram hymn in praise of Lord Tripurantakeswara at Koovam. When he was passing through Elumiyankottur, Lord Shiva wanted him to sing about him there as well. So he appeared before him as an old man, and a child requesting him to sing Lord Deivanayakeswara. However, Gnanasambandar could not find the location of the Lord through the forest of Jasmine trees, and finally the Lord appeared as a wild bull driving him into the temple. 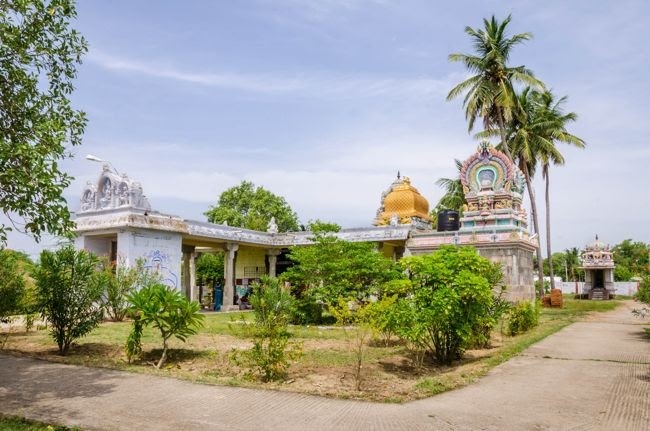 Gnanasambandar in his hymn at the Deivanayakeswara Temple, says worshipping him would make people eternally beautiful and enable them to attain mukthi without any further births. 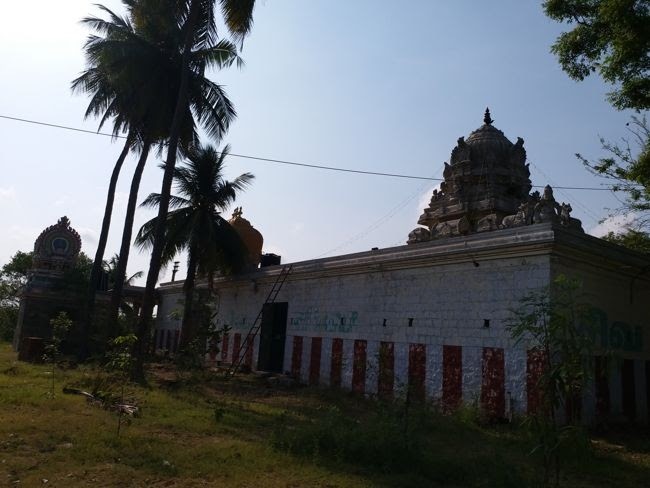 This temple is considered to be significant for its three important attributes – Murthy, Sthalam and Theertham - glory of Lord, sacredness of the land and the auspicious temple tank. There is no gopuram at the entrance. In fact the small wicket gate close to the Vedha Pada Salai is used for entry and exit. There is a vedha pada salai here where there are a number of youth who are learning the vedas. Other than the deities, there is no signs to show that the temple is many thousands of years old. This temple has been mentioned in the Koova Puranam. Lord Arambeswarar similar to Lord Tripurantakeswara is considered "Theenda Thirumeni". The priests do not touch him or perform abhishekam. Flowers are adorned using a small stick. The Swayambu lingam here is mixture of white and red colours and is covered most of the times by a metal sheet (Kavacham). 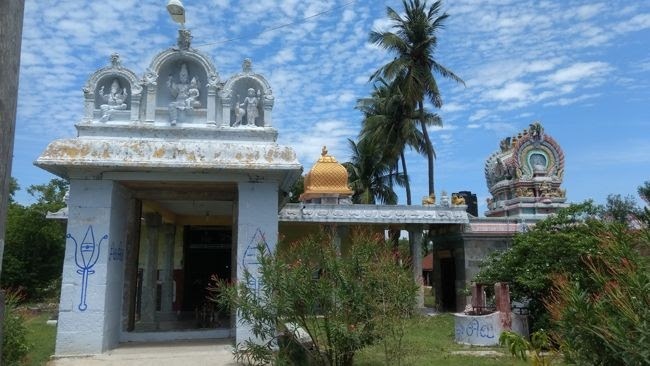 The legend is that on his march to destroy the three demons (Tiripura Samharam) - Tharakatchan, Kamalakshan and Vidunmali and protect the Devas, Lord Shiva passed through this place in a chariot. During this journey, the garland (kondrai flowers in Tamil) from Lord Shiva’s neck fell down at this place and became a swayambu lingam. 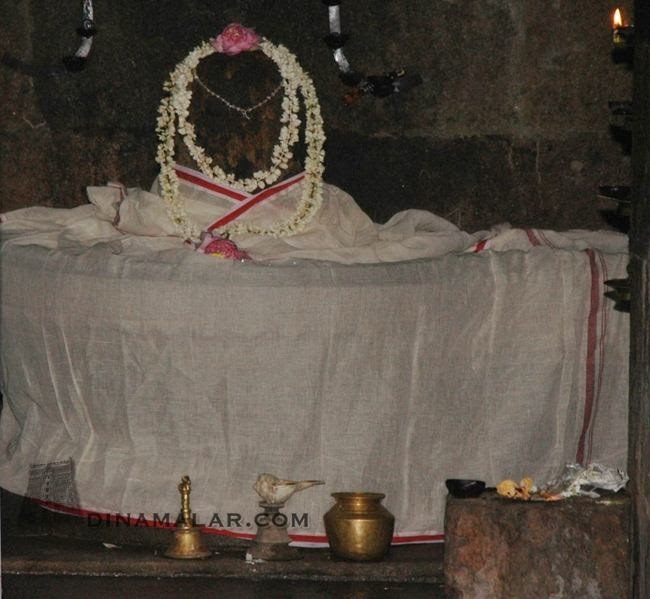 As this lingam is considered to have been formed from the lord’s garland the lord here is considered to be “Theenda thirumeni” (untouched by human hands). During the march, it is believed that all the devas who were under the commands of Lord Shiva stopped and worshipped this swayambu lingam. Hence this lingam here is praised as “Daiva Nayaka Easwarar” (literally translated as “the lord who was worshiped by the rest of the gods”). Another legend associated with this temple is that when Saint Sambanthar was travelling near this place, Lord Shiva wanted to direct him to go to this temple. He tried to seek Sambanthar’s attention in a couple of ways – first he appeared as a child, second time as an old man but neither Sambanthar nor his followers could recognize it. Third time Lord Shiva took the form of a white cow and hit his palanquin, Sambanthar realized that this was none other than Lord Shiva himself and followed the cow to the temple. On reaching the temple, the cow disappeared. Sambanthar mentioned about this incident in the third stanza of this temple’s hymn.